Download this amazing and simple game now! 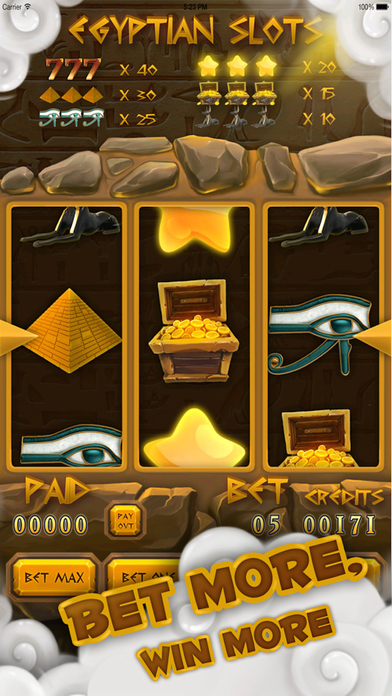 Egyptian Pharaoh Slots is a fun and simple way to play slots. Place your bet, spin the wheel and win coins. That simple! You will be able to play as often as you like and win more and more credits. Each day you get 50 free bonus coins! 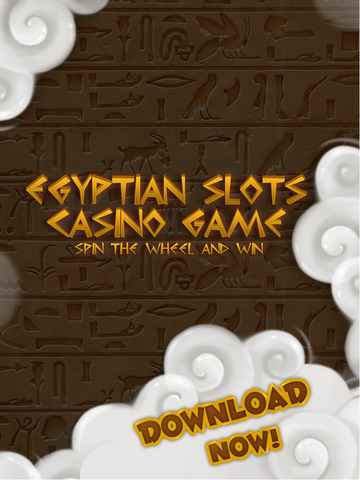 Egyptian Pharaoh gives you the chance to win big in Slots, Black Jack and a Free Bonus wheel! To play press “Bet One” or “Bet Max” buttons to place your bet and then spin the wheel and collect your fortune. 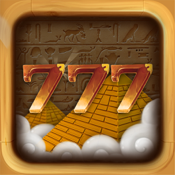 Play with our friends with the excitement of a simple and fun Vegas Slot machine. The simplicity and joy of this game is addictive. You will spend hours and hours of pure fun! We know you'll go crazy playing this game. Enjoy!